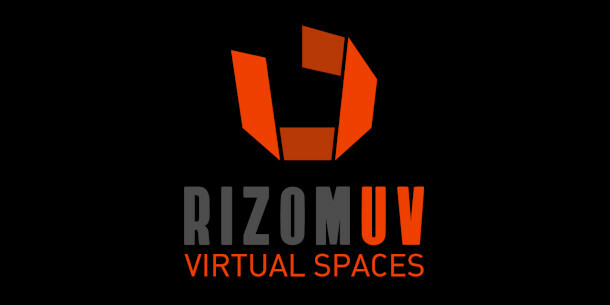 Rizom-Lab has shipped RizomUV 2018 Virtual Spaces (VS) and RizomUV 2018 Real Space (RS), the latest updates to its family of UV unwrapping software. The release adds new features to both editions, including fully automated UV generation and seam placement, new texel density and polygon selection tools, and updates the GUI and shortcut workflow. But more noticeably, it also represents a change of product name: RizomUV used to be known as Unfold3D. RizomUV or Unfold3D: what’s in a name? The change of branding brings to an end one of the major confusions in the field of UV unwrapping tools: that for the past year, there have been two separate products named Unfold3D. Both share a common point of origin: the original Unfold3D technology, used at studios including Electronic Arts, Ubisoft, The Mill and Animal Logic, and later integrated into Maya. The product now known as RizomUV is developed by original author Rémi Arquier, following his decision to split away from former publisher Polygonal Design to launch Rizom-Lab. Rizom-Lab put out its first releases – then known as Unfold3D RS and Unfold3D VS, with various changes of version numbering – last Fall. Polygonal Design responded with its own release, Unfold3D 2018 UV Wizard, in December. The two companies have been in dispute over ownership of the IP – you can see a statement from Polygonal Design on the homepage of its website – which seems to have resulted in the change of name. In its press release annoucing the new update, Rizom-Lab simply states that the software has been renamed, but makes no actual mention of Unfold3D. Product branding aside, the new features in RizomUV 2018 are pretty interesting. The update includes a new one-click system for unwrapping 3D models and packing the resulting UV islands, including automated seam placement. It works on both organic and hard-surface models, and the results can be adjusted manually: in the video above, you can see islands being edited to minimise texture stretching, without affecting their neighbours. Other changes include a new toolset for visualising and editing texel density – you can see it 02:15 in the video – and a Photoshop-style magic wand too for selecting groups of polygons using geometry properties. The UI has also been updated to streamline workflow, and users now have the option to create custom hotkey layouts. You can see a full list of changes in Rizom-Lab’s online changelog: updates have come out incrementally, so the 2018 release includes everything listed since December. RizomUV 2018 VS and RizomUV 2018 RS are available for 64-bit Windows 7+ and macOS 10.12.5+. There are also third-party integration plugins available for 3ds Max, Blender and Cinema 4D. The two editions have similar features, but whereas VS is designed for games and VFX, RS is designed for product design, and works in unnormalised UV space, respecting the dimensions of the original model. Licensing varies between Indie users – artists and companies earning under €100,000/year – and Pro users. Indie users get the option to rent to own or buy a perpetual licence; Pro users get a rental-only model. Indie licences of both types are nodelocked to two computers, while Pro users can also rent floating licences. For RizomUV 2018 VS, a perpetual licence costs €149.90 (around $175) and rent-to-own costs €14.90/month ($17/month). Pro licences cost €34.90/month/token ($41/month/token). For RizomUV 2018 RS, a perpetual licence costs €299.90 (around $351) and rent-to-own costs €29.90/month ($35/month). Pro licences cost €59.90/month/token ($70/month/token).